The children had a great time using left over scraps as the main material for this project. 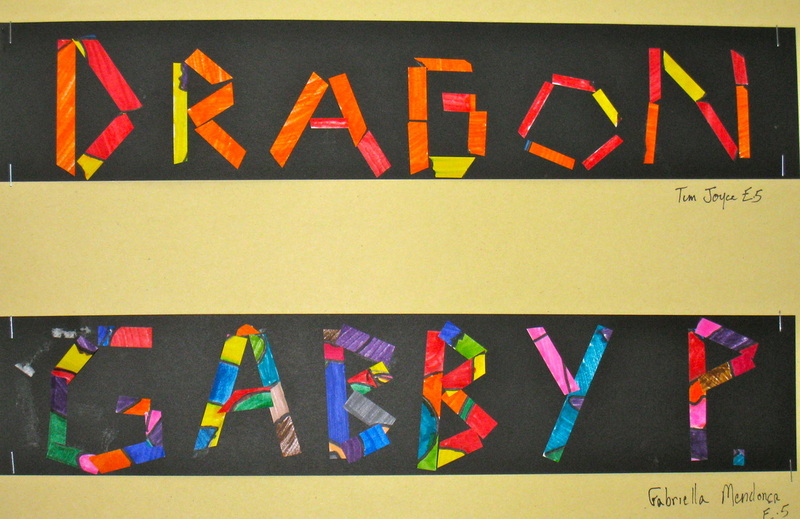 They began by coming up with an interesting name and then used small pieces of paper cut into squares, rectangles, trapezoids, and other geometric/biomorphic shapes. 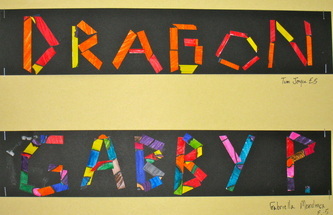 All the letters in their name were created using small colorful papers that were carefully cut, rearranged, and then pieced together. 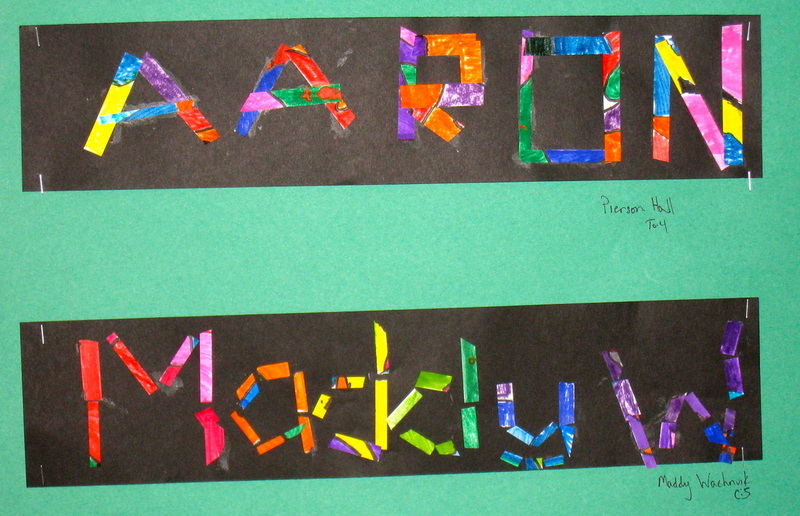 The results resemble stained glass pieces that merge together to form a name. 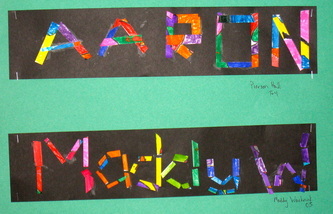 Some children chose to change the direction of their paper from the traditional horizontal set-up to a vertical one. The students enjoyed piecing these projects together and many chose to do more than one. This lesson refined their fine motor skills, cutting and gluing technique, all while encouraging a creative compositional design.